← Руслан Гарипов. Права коренных народов в международном праве. 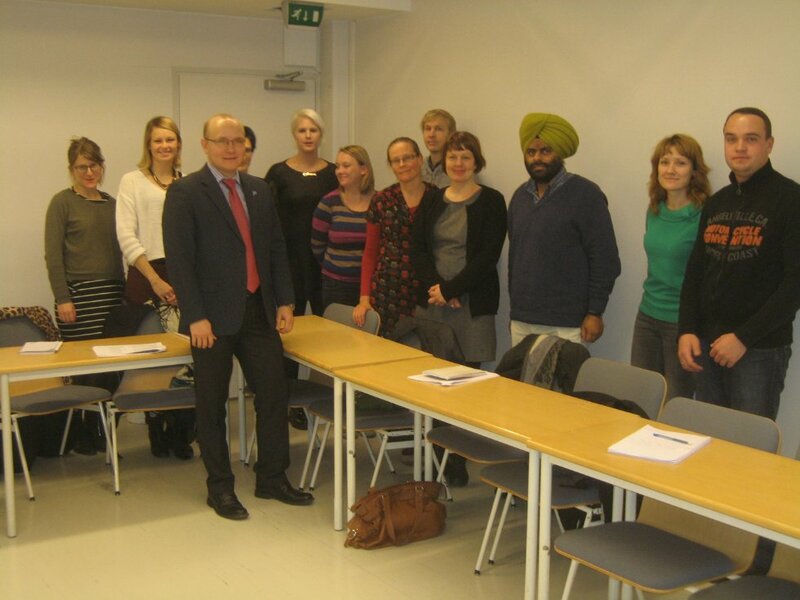 From October 21 to November 20, 2013 I spent a wonderful time in Finland, as an “ERASMUS MUNDUS TRIPLE I” scholar at the Law Faculty of the University of Turku. 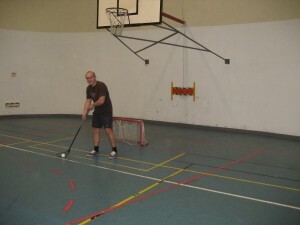 The city is on the southwest coast of Finland and locates at the mouth of the Aura River. It is the oldest city in Finland and former Finland’s capital, its Swedish name is Abo. Turku is an important business and cultural center and there is the second largest university in Finland – the University of Turku. My research project was about indigenous peoples’ rights protection, Sami in particular. Sami people are indigenous group in Russian North, Finland, Sweden and Norway. They still keep their traditional way of life: hunting, fishing and reindeer herding. In Finland’s Constitution Sami are indicated as indigenous people with the right to maintain and develop their own language and culture. In their native region the Sami have linguistic and cultural self-government (Section 17 and 121, Constitution of Finland, 2000). In Turku I have not only got acquainted with the history and culture of the country and its people, visited several museums and exhibitions, but also was invited by Faculty members to play a “Floor Ball”, some kind of national hockey. Many thanks to all guys I played with for such an unforgettable and interesting experience. I would like to emphasize the high level of management at the University of Turku not only in education and research, but also with all these issues concerning housing and other support services for incoming visitors. The Law Faculty of the University of Turku provided me with a space (room), Internet, access to their library, including electronic database, and useful contacts. I was able to visit lectures, seminars and discussions at the Faculty. I gave my own lecture with presentation for the Faculty staff and students. All the Faculty staff members were very friendly and hospital to me. I have collected a lot of useful for my research materials and established a lot of useful contacts. I will include these materials to my research, which I will present at my Home University. These materials also will be included to my lectures and classes for students at home. And my contacts I hope will be useful for future cooperation between our Universities. 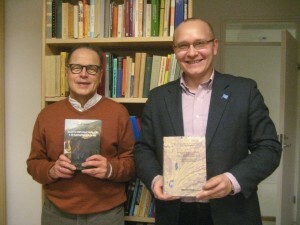 I am also going to publish an article based on the materials I have collected at the University of Turku. I want to thank Dean of the Law Faculty Professor Jukka Mahonen and Coordinator for Research and Doctoral Studies Mirkka Ruotsalainen, and all the Faculty staff for their hospitality and help in my research. I also would like to thank the Head of International Affairs Irinja Paakkanen, International Adviser Mari Leino and other ERASMUS MUNDUS Coordinators at the International Department of the University of Turku for their welcome and assistance. And special thanks to Professor Lauri Hannikainen for his positive energy, friendliness and big contribution to my research. The Conference took place in Tromso, Norway. Among speakers were very well-known specialists in the field of environmental law and indigenous peoples’ rights, such as: Professor Oyvind Ravna from Norway, Professor Timo Koivurova from Finland, Professor Nigel Bankes from Canada and many other experts from different countries. (Here is the link to the Conference’s Program). 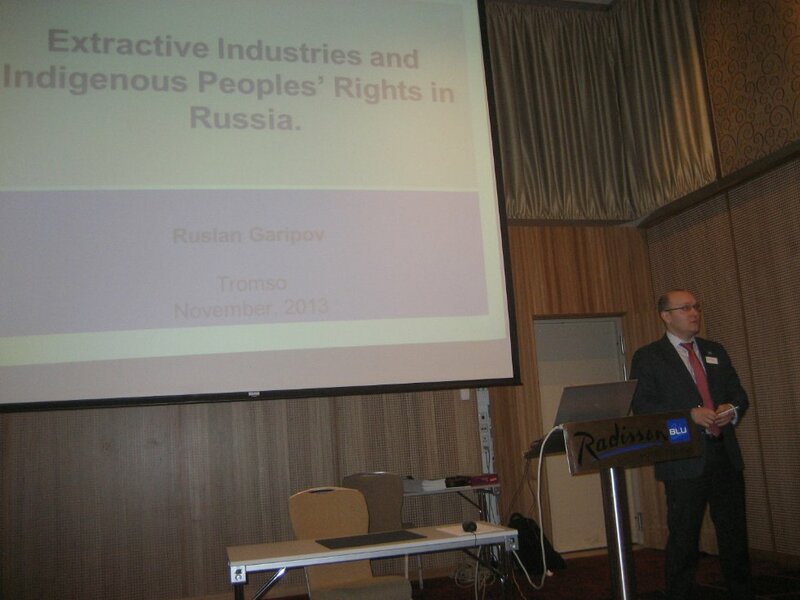 My report was about main legal problems in the field of environmental protection and Russian indigenous minority peoples’ rights during mining activities on their territories. The report was enthusiastically received by the participants and discussion was followed even during the coffee-brake. (Here is the link to my Presentation). I also would like to thank the Faculty of Law of the University of Tromso and all the organizers of the Conference, and especially Associate Professor Susann F. Skogvang and Dean Trude Haugli for invitation to speak at the meeting and to emphasize the high level of the event and extremely interesting reports, presented by speakers. And I hope to see soon the special issue of the Nordic Environmental Law Journal, where all the presented papers are going to be published next year. In order to access the information in Russian link to the KFU website.